At the Kensington Studio we are able to provide you with the highest level of personal training along side the latest health and lifestyle services. 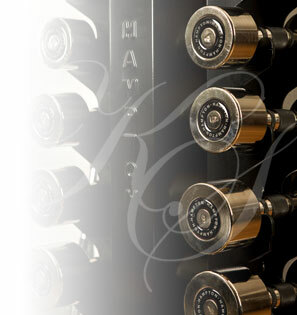 Being an exclusive studio you will always have that personal touch that you lose in some corporate gyms. We want to make a difference in your life so we make sure that we have the most experienced experts working to help you make the right choices to change your life. This is what 90% of our clients are looking for and achieve. Losing weight and toning seems like such an easy thing to do but why do you find you never get there? We have the keys to open that door for you. If you want to learn the art of boxing or just do something completely different with your training our passionate boxing trainer will see you through. Dynamic and challenging form of exercise. Developing strength, speed, and power. Also it improves muscle tone, weight management and confidence. Do you want to be at your healthiest for the birth of your child or get back to fitness afterwards? We have highly qualified trainers to look after you and your baby in the safest way. Does Pain and injury prevent you from achieving your fitness goals? Come and see our injury rehab specialist’s and start down the path to a pain free life. Our rehab trainers are experienced and work with local physiotherapist’s. What would it mean to you to improve at the sport you love? We’ll break your sport down and give you the skills to take you to the next level. We can develop your physical and athletic capabilities by increasing your strength, flexibility, power, speed, endurance and agility. Do not let location prevent you from achieving your goals. If you are unable to train at our studios one of our experienced and knowledgeable trainers will come to you. We can train you at your home, in the park or at your gym. Would you like to improve your health and fitness? Improve your health and fitness by joining this group and incorporating beneficial activities and exercises into your weekly routine. Increase your vitality and happiness. Socialise with like minded people who wish to increase their wellbeing. Make improving and maintaining your health and fitness a top priority. In this class you will learn and practice meditative techniques. Discover ways of applying mindfulness to everyday activities so it becomes a habit. Learn different ways and techniques of breathing to support you depending on your circumstances. Read more….